SKEVOS TRAVEL Rhodos-Fähre tickets, Flugtickets , Hotelbuchung Piraeus-Siro-Paro-Nakso-Santorini-Anafi Itineraries - Ferries, connections, availability, prices to Greece and Greek islands. 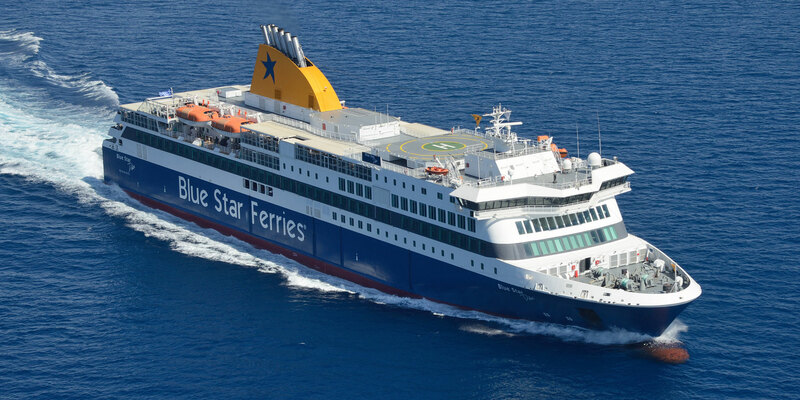 Andros island greek ferries e-ticketing. * The vessel will not call at IOS from 18/09/17-24/09/17. MONDAY 25/09/17, 02/10/17 & 09/10/17: from PIRAEUS 07:25 to PAROS (11:40-11:55), NAXOS (12:40-12:55), IOS (14:05-14:15), SANTORINI 15:10. * The departures from IOS are not valid from 18/09/17-24/09/17. MONDAY 25/09/17, 02/10/17 & 09/10/17: from IOS 14:15 to SANTORINI (15:10-15:30), NAXOS (17:30-18:00), PAROS (18:45-19:15), PIRAEUS 23:25. 14/01/2018-05/03/2018: The itineraries will be performed by BLUE STAR 2.